PSC is proud to confirm the signing of Bermudan international Willie Clemons to Swedish Division Two side Bodens BK, following standout performances on our latest Baltic Showcase Tour. Clemons spent two weeks in Latvia and Estonia working with PSC’s coaching and Agency staff, who looked to assist him in both showcasing to the best of his ability and earning professional opportunities. The tour also saw the 23-year-old face off against fellow Bermudan international Dante Leverock, who signed with Estonian top-tier side JK Narva Trans via PSC recommendation last month. Clemons’ performances were rewarded with a trial offer from Estonian top-flight side Viljandi Tulevik, and a contract was presented to the forward, but not accepted. PSC Agency staff acted quickly to get the midfielder into trial with Bodens – who were to take part in the local Arnes Bil Cup that weekend – giving the club the perfect opportunity to evaluate Bermudan’s ability. Clemons won player of the tournament and notched a goal in the final, as Bodens beat local rivals IFK Lulea. And following the tournament, the club wasted no time in offering the trialist a full-time contract. 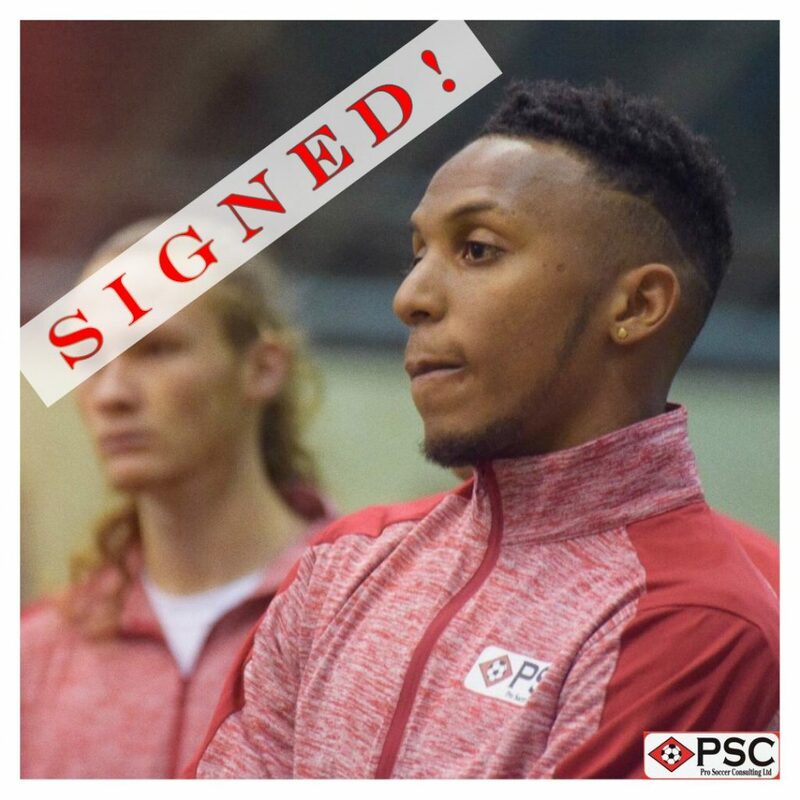 The former Thomas College player joins a long list of PSC players who have signed for Swedish side, helping continue an excellent club-agency relationship. Later this month PSC host combines in both Orlando and San Diego – and will be on the lookout for players to follow in the footsteps of the Bermudan and earn professional trials and contracts. Would you like to fulfil your dreams and become a professional soccer player? If so, check out our Upcoming Events page for details on our combine events this coming March and June.